Successfully saved Strawberry Lime Chia Yoghurt Parfaits to your Calendar. You can also save the ingredients to your Grocery List. 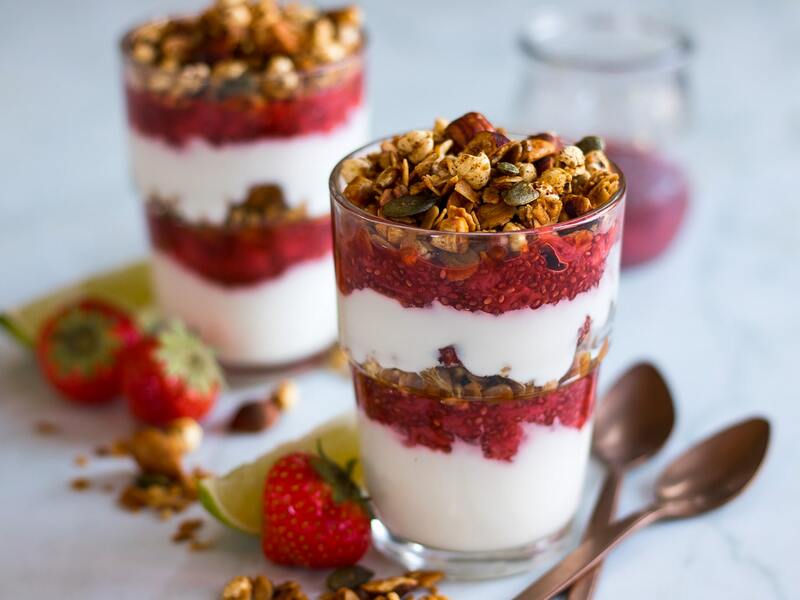 Strawberry Lime Chia Yoghurt Parfaits make a beautiful but simple breakfast, snack or even a healthy dessert! They're perfect to meal prep and can be made gluten free and dairy free too.